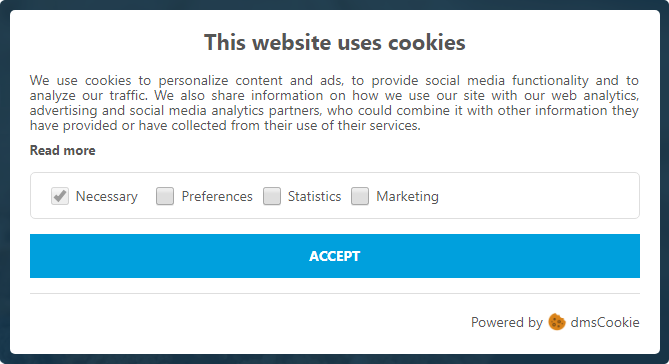 Sign up to create an account. 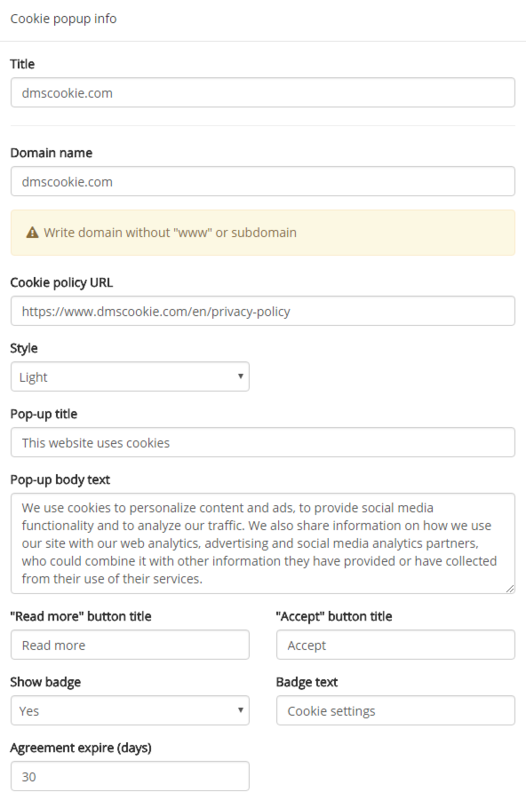 In the dmsCookie manager enter the text you want to show to your website visitors or use the default text applied. 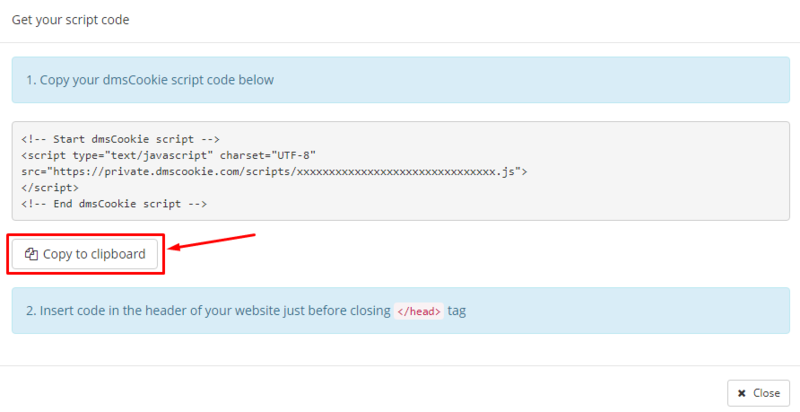 You can choose between two different templates ("Type 1" located at the middle of the page, and "Type 2" at the top or bottom of the page), and between two different styles ("Light" or "Dark"). 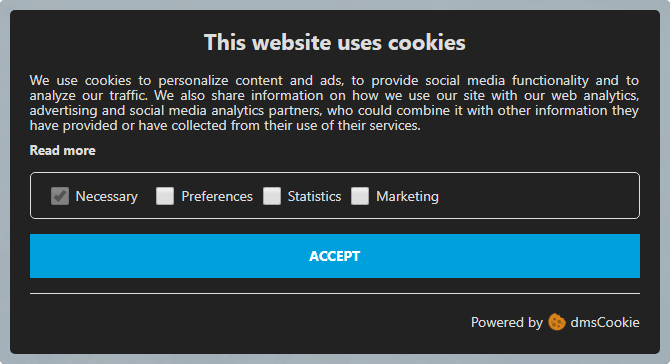 Add the attribute data-dmscookie and set it to one of these values preferences, statistics or marketing for each script in accordance with the types.